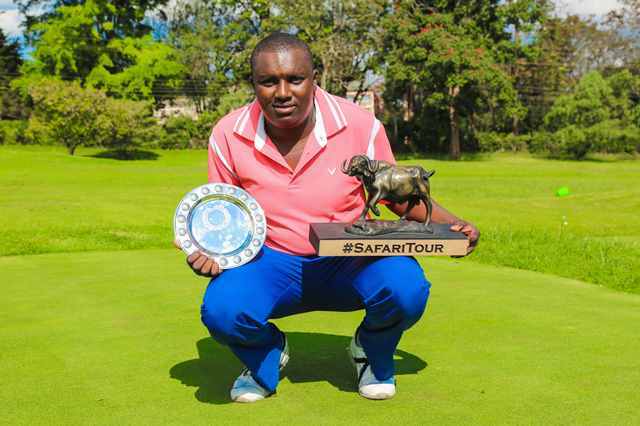 Top amateur golfer Mike Karanga shocked professional golfers to claim the third leg of Safari Tour Golf tournament that came to a close today at the Limuru Country Club. 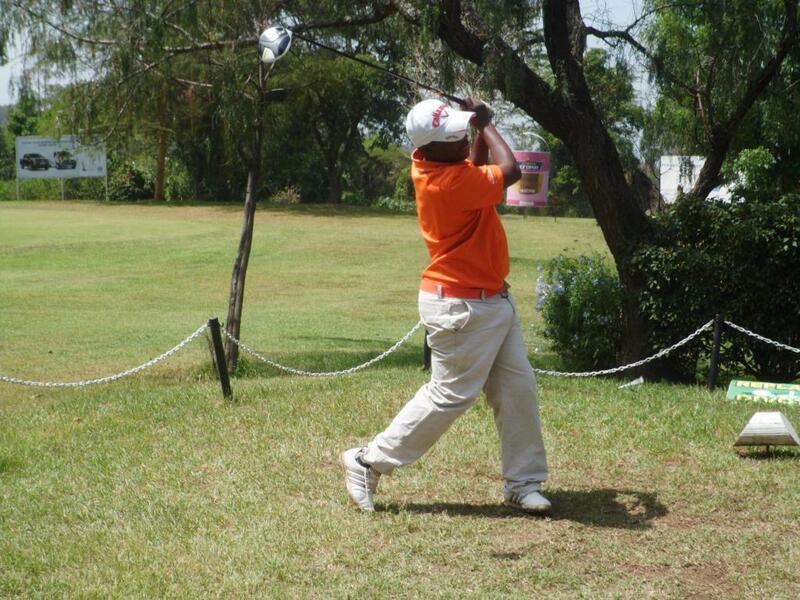 The Kiambu based golfer fired two under par 280 to trounce professional golfers led by Greg Snow, David Opati, Dismas Indiza among others in the count down to the 2019 Kenya Open golf championships to be staged at par 72 Karen Golf Club. 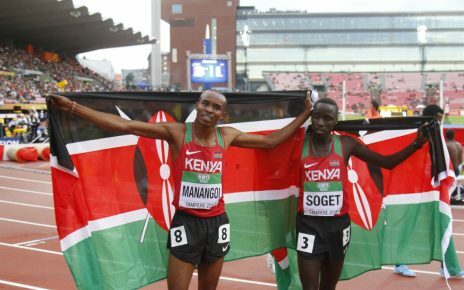 He led Vet lab Amateur Edwin Mudanyi to third after losing to Snow for second place. 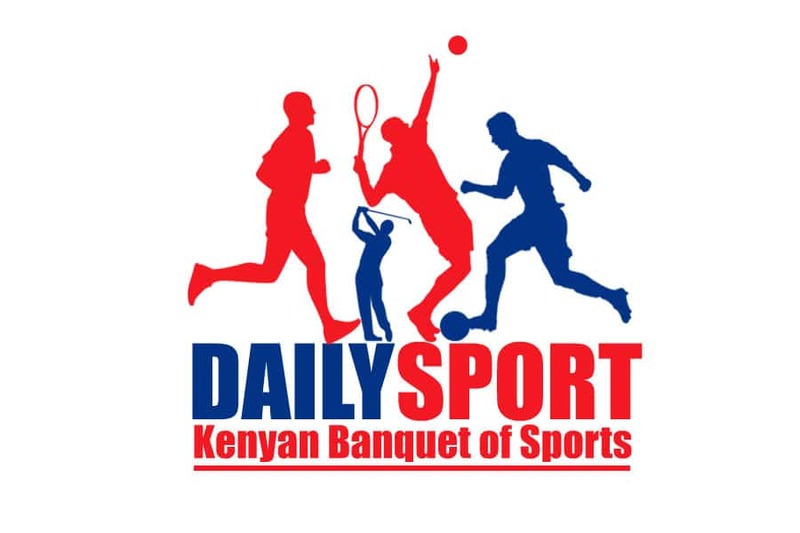 In the grueling 72 holes with players going four rounds since Sunday, Karanga started on high in the opening round with four under 68 followed by two over 74 and played identical three under 69 in the third and fourth round to claim the title. Today, Karanga started on high sinking six pars in the opening six holes before he bogeyed on 7th but recovered pars on 8th and 9th in the front nine. He successfully played the outward nine with birdies. He birdied back to back on 11th, 12th and 13th pars four before birding again on 15th par five with the rest sinking pars to claim the title.